Infrastructure or the lack of it, has often been cited as the primary reason for India remaining a developing country even with all the talent available in the world. There is no denying that fact, but there are numerous other reasons which will hinder India’s growth even if the infrastructure improves. One of the them is bought to light from the headline. Hyundai after facing numerous strikes by its employees in the recent past has decided to stop its production facilities in India and move it to Turkey. Including the recent one in Mumbai which resulted in this decision, there have been as many as 4 strikes since 2008 at various Hyundai facilities. The car maker seems to have had enough of fighting union battles and has decided to put an end to it by closing down its production facilities in India. Hyundai has apparently chosen Turkey for cost advantages and lower taxes but employee unrest at its Indian facilities has been the triggering factor. In 2009 alone, Hyundai exported about 50,000 i20 compacts from India to Europe, more than half its total production of the car - means that not only manufacture cars for selling in India but also exports them to other countries from its Indian facilities. I don’t have exact numbers of the headcount in Hyundai’s India operations but i guess it will easily run into thousands. With the production moving away from India locations, all these jobs are going to be lost. The government stands to lose revenues which it makes from levying taxes, export duty etc. Car makers around the world have noticed Hyundai’s success story from its Indian facilities and how it has pioneered the small car production. With a bad example like this, newly arrived car makers like Nissan and GM would think twice before rolling out their production facilities. Now I am not saying that the labor strike is unjust and uncalled for since it is difficult to gauge the real culprit in cases like these. However, the union battles in India are not new and are in most cases backed by political muscle. Moreover, I presume union leaders here take companies for granted to accept their demands sooner or later. But Hyundai seems to have left no room for that now. Talk about fighting for the benefit of employees. Labor strikes are not prevalent in India alone but given Hyundai’s strong action I wonder if the handling of the same has been done well. This is indeed unfortunate and big bolt to India’s attractiveness as a manufacturing hub for foreign automakers. What are your thoughts on this? why the workers went for strike? they have been working for the past 10years in hyundai after 10th year all these is happening.It began from the management the workers felt unsafe condition after a death of co worker who came to factory for shift operation and all of sudden one portion of factory has been sealed and sold to another(MD binami) company in overnight so the workers started an union called HYUNDAI MOTOR INDIA EMPLOYEES UNION with members of 1750 workers. the management started transferring the office bearer of the union to delhi,mumbai calcutta,amritsar,hyderabad were there is no production of cars.and 87 workers wr dismissed for being member of trade union. the strikes will continue until the management does not come for the talks with workers union that is sole union in the factory. My dear Indian friends b4 posting a message know the truth it is an Korean company making our own brothers as slaves. If you dont have a job, you make your entire family as slaves. We need jobs, obody is enslaving us, the politicians are triggering such things to gain support, votes. If the production moves out what will happen to the so called “enslaved”, will the govt simply give them salaries and support their family. We need to improve our work ethics and not fall prey to politicians. No foreign investment, no jobs. Strikes must be genuine. Nobody can enslave us except for our politicians. itz facinating go through yo article itz informative and very essential to me as m a student to draw indiaz altogethr figure at ma project. one thing i alway xamine z indianz trouble wht xactly z d poorer ah poorer reasonong d connectivity isnt it. The Union´s negotiaters are tied to ISI (money came through Pakistan embassy) they are ISI puppets who are destablising the Indian export potential-economy for few bucks. INVESTIGATE THEM. Hyundai is just a begining – BEWARE INDIA! The latest news is the production started at Chennai plant today. Hyundai can not move production out of India, unless they are thinking of quitting Indian market altogether. As Mohit said they could move some of the production out of India – the export production can definitely move out but the cars that Hyundai intends to sell in India – Santro and i10 its just does not make sense to make them elsewhere and import them. If they do so, the import duty will make the cars so costly that it wont be able to compete against the Maruti, Tata and GM. Hyundai guys will be fool to let go of the market position they have managed to gain in the last decade. Besides moving production lines is a costly affair, it is possible to do if the production has not already started (case in point Tata Nano), but you just can’t move the factory that is producing second largest selling car of the country. Labour problems – Hyundai has spent more than 10 years in this country. They should know how to handle tackle unions and political interests. They might have forgot to grease some palms. While I do agree on the labour unrest part and the political nexus, the entire post has been written in a manner that does not paint the true picture. The title of this post is misleading. The actual news says “move some production to a factory in Turkey” with emphasis on SOME. It is also clearly written that “Spokesman Rajiv Mitra said in an interview Monday that Hyundai plans to move European export production of its popular i20 compact from India to an existing factory in Izmit, Turkey by August” i.e. only the EXPORT PRODUCTION OF i20 is being moved and the domestic production would still continue within the country. While the labour unrest could have triggered the move, the actual reason could very well be lower taxes and distribution costs as mentioned “Turkey has other advantages, like reduced delivery time and lower taxes for its main export market, the European Union, he added”. Also, Australian exports would still continue from India as they would not have advantage from Turkey. –> Hyundai production facilities in India are primarily for the compact car offerings including the i10-20 versions. 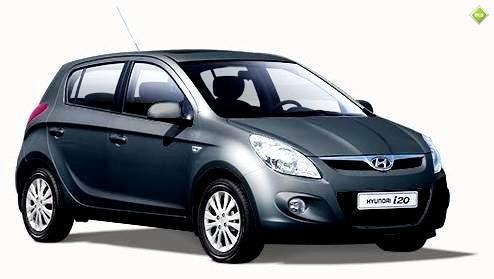 Of that, with i20 gaining widespread adoption as an export vehicle, forms the majority of production in India. Moving out of India is a big loss to our country. But i have a different view. They come for cheap labor, cheap land, power, less production cost. In this globalization era and particularly in this economical crisis jobs are most important. Even all the workers are known about it. There are ways to settle the labor strike with govt. help. Just moving out is not the right decision. More important – India is also favor for corporates, mnc’s than its own citizens. Is there any place without the labor issues in the world? Moving out is may be a threat message to suppress the valid needs of the workers. I think it might be a last ditch effort by Hyundai to try and make the workers fall in line. They might be mentally prepared to move out but would be aware that the workers now seeing their jobs going for good would be more amendable if they sit on a table together again. This will give Hyundai the upper hand and direct its own terms. Even if it’s not the case, I think the matter is of prime national importance for the government to step in and do some fire fighting. This is news indeed; it would be good to have the source – the piece linked to only mentions that production was stopped due to the strikes, not that it is moving out, nor does it mention Turkey. IF this news is correct, that will be a huge loss, since it’s not just about the people Hyundai employs – a huge auto-ancillary industry exists in TN, all built around Hyundai – so it will impact all those employees. Pity that we don’t have a mechanism for unions and mgmt. to resolve issues to both parties’ satisfaction. Hi Apu, apologies for not putting in the exact link.Must have confused it with the new pieces i was reading and put a realted one by mistake. It is a pity! Hundai should think of shifting to Gujarat rather than Turkey. very well pointed our jairaj and i think this also stems from the Tata Nano issue. Like him or hate him, Mr.Modi has been instrumental when it comes to attracting investment into the state and ensures that they have a good business environment. Yes, I completely agree with you that all these unions are backed by Politicians for their own personnel interests. There have been many examples of this and the BIGGEST is of West Bengal where these Unions strikes left the state in the Poorest condition. I really like how Govt has handled the AI strike ( http://satinders.blogspot.com/ ), i feel govt should curb these strikes more often so to avoid any credibility/money loss. Everyone see that India is the only country which has not been effected by the Global Recession but with these Union Strikes I guess country will go into Recession soon. Satinder, it is indeed shameful that Union strikes are politically backed and as u pointed out the W.bengal case. You might be right in applauding how the government handled the AI strike but do take sometime to read previous articles here i have written on AI. The government has made a mess of the whole thing so a one off good intervention does not really make me feel good bout the government.